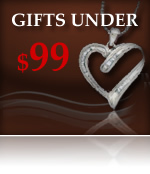 ORO KING INC. is proud to be one of the Nation’s leading fine jewelers. 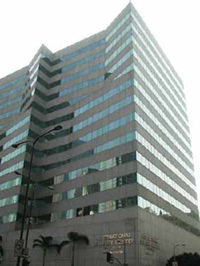 Our office is Located in the World Famous International Jewelry Center Building in Down Town Los Angeles. Oro King Inc. began its business selling only to wholesalers and retail jewelry stores, but with the dawn of the Internet, we are able to sell directly to our online clients without interfering with our jewelry store friends. We offer our jewelry directly to the public at wholesale prices—the same prices available to retail stores and other distributors. Our prices are exceptionally low because of our volume. Since we have completely eliminated the “middle man” and we design and manufacture the majority of the items you see on our site, we are able to save our Valued shoppers 50-70% off retail prices. Our selection includes a wide variety of Certified loose Diamonds, Diamond Engagement rings, Assorted Diamond Jewelry, Oro King’s Exclusive Wedding Bands, Precious and semi precious jewelry, Personalized Jewelry and Accessories. In addition, we offer an impressive array of Name Brand Authentic Watches at discounted prices. If there is a specific items that you may be looking for that is not being offered at our web site, please contact our customer services at sales@oroking.com and we will go to any extent to try to satisfy your jewelry needs. We are frequently asked by our curious clients why our prices are so low or how we can so easily customize jewelry designs to accommodate different shapes and sizes to their liking. The answer is simple. We manufacture and design all of our jewelry; you are purchasing directly from the source. All of our designs are made through state of the art, technologically advanced equipment. Our designs are produced through “Matrix” software that generates 3-D CAD images. These CAD images can be changed to accommodate any diamond shape or size and then reproduced exactly from our computer driven wax/mold machines. From this perfectly produced mold, our artisans painstakingly complete these works of art by hand to create stunning jewelry as unique as you. We invite you to "shop around" and then come back to us. You will be amazed at our prices, quality, and designs. Our custom engagement rings and exquisite jewelry are contributed by our talented, Award Winning designers and wax carvers who take pride in their workmanship. Our designers have years of experience working in both gold and platinum. Their skill and craftsmanship has been unparallel in the jewelry business. Each piece that is manufactured by hand is a work of art and a labor of love, which is perfect to give to the one you love. Our designs are copyrighted, which ensures that you will not find these pieces in your local jewelry stores (unless they purchased them from us). Our Website is protected with the highest level of security to insure that your shopping experience is a definite A + and at the same time that your contact information and your payment information are kept securely. Our site is tested daily to ensure it is safe by Hack Resistant. Most of all, we are proud of the men and women who make up Oro King Inc. Our staff is dedicated and competent; and the company is overseen by individuals with more than 25 years experience in the jewelry business. All of these factors make Oro King Inc. what it is today: a reputable online and an in-store jeweler that makes purchasing fine jewelry an affordable and satisfying experience. We are available Monday To Friday from 9:30 AM. to 5:30 PM. Pacific Day Light Time. Please feel free to email us sales@oroking.com 24 hours and 7 days a week or contact our knowledgeable customer service representatives at 1-877-539-3509 during our working hours.